If you are looking for a retail store or outlet that sell some of our products, please check out the following links. Museum Store at the National Museum of the USAF - Museum Store at the National Museum of the USAF The Museum Store proudly offers a wide and unique selection of Aviation, Air Force and Military related products as well as a book section that is famous world wide for its vast inventory of aviation related books! Pilot Wear - Pilotwear is your source for aviation t-shirts and gift items. We also carry an extensive line of Wright Brothers' memorabilia. MID-ATLANTIC AIR MUSEUM - With an ever-changing supply of quality aviation merchandise, the Mid-Atlantic Air Museum Store makes your dollar go further with the added satisfaction of knowing that your purchase helps keep our historic aircraft flying. Every dollar you spend here goes directly to support the restoration programs of the Mid-Atlantic Air Museum, an IRS recognized 501 ( c ) ( 3 ) charitable organization. Aviation Gifts by Ruth - Welcome to Aviation Gifts by Ruth! Our web site is dedicated to spreading the joy of flight. We feature unique aviation gifts, pilot supplies and educational items for the future pilot in your life. Scenic Helicopter Tours - Helicopter Headquarters, a new $8 million 25,000 sq. ft. interactive facility devoted to the history of flight as told through displays and more than 10 different full-size helicopters and so much more. Tailwinds - Tailwinds.com - Quality aviation gifts for the pilot an enthusiast. We carry it all from decor, jewelry, art, flight sims plus much more. Tailwinds is owned & operated by real pilots! Museum of Flight - Here you’ll find a treasure trove of flight, space and general aviation merchandise ranging from toys to collectibles. We have a great selection of aviation prints, model airplanes, space toys for kids of all ages and more. Women in Aviation, International - Welcome to the Women in Aviation, International Online Store! Flying Leather Necks - What sets this museum apart from all others is the fact that it is the only museum in the World dedicated to preserving the incredible contributions made by Marine Corps Aviators and their ground support personnel. Warbird Adventures - Kissimmee Air Museum shares Florida’s rich aviation heritage through aircraft displays, educational exhibits, aircraft restoration and exciting training flights in WWII fighter-trainers. Visitors experience aviation first hand as they interact with the planes, pilots and projects. My Pilot Store - Your Pilot Supplies Store! Our commitment to you: great service, fast shipping, low prices, huge selection of pilot supplies, and a secure and private shopping experience. Spencer Aircraft - We are adding hundreds of items to the site every day! Please check back soon. If you do not see what you want - call or email us, you will be surprised at what we have in stock. Western Antique Aeroplane & Automobile Museum - The WAAAM Air & Auto Museum has one of the largest collections of still-flying antique aeroplanes and still-driving antique automobiles in the country. The items on display at this museum are not only full of history, they're full of LIFE! At WAAAM you will enjoy our extensive collection of antique aircraft including the 1917 Curtiss JN-4D Jenny featuring an OX-5 90 HP engine, our Piper Cub and WACO collections, the Aeronca collection, the Stearman collection and many more wonderful aircraft. Canada Science and Technology Museums Corporation - Your visit to the Museum is sure to be memorable. Keep the experience fresh with a souvenir from the Aeronautica Boutique. 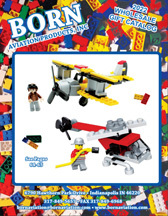 Or, find the perfect gift for the aviation enthusiast in your life. A wide selection of “flight-flavoured” items." Threshold Aviation - Threshold Aviation was established in 1995 as a Pilot Supply and Aviation Hobby retailer in Mississauga Ontario. In 2007 Threshold Aviation launched partner company Horizon Aviation Training & Flight Simulations, North American’s first provider of Flight Simulator Adventures to the general public. Today the two companies have combined to provide the worlds first fully integrated Aviation Supply and Flight Simulator Adventure companies offering a range of products from Pilot Supplies and Aviation Hobby Merchandise to thrilling Flight Simulator Adventures. Pima Air & Space Museum - The Pima Air & Space Museum is one of the largest non-government funded aviation and space museums in the world! Featuring over 350 historical aircrafts, from a Wright Flyer to a 787 Dreamliner.